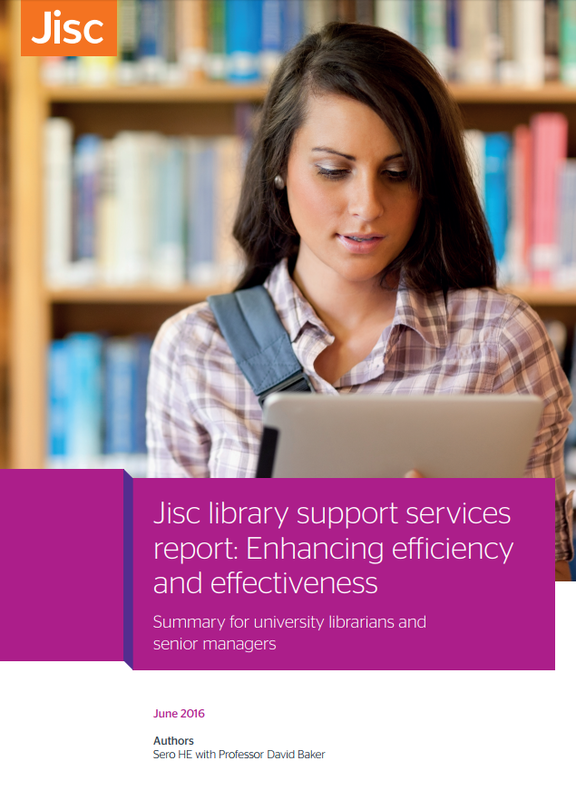 Since the last update in November on how Jisc presents its Library Support offer, there has been a significant amount of progress made on key aspects of the Transformation project, both internally and externally. Internally, the focus has been on taking forward the Data Orchestration work, and to a lesser extent the workflow mapping and user interface design. Externally, we have created a new advisory group and announced our collaboration with OCLC to deliver a National Bibliographic Knowledgebase (NBK). Externally, we now have a new stakeholder governance group called the Library Management and Bibliographic Data Services Advisory Group. This new group succeeds the Knowledge Base+ (KB+) Advisory Board and Bibliographic Data Oversight Group, and allows Jisc to consolidate the groups representing its library portfolio thus enabling a consistent approach to sector input in this area. Members include those previously on the aforementioned groups, as well as some others so Jisc will have broad and strategic insight for its library portfolio. The first meeting will take place on 28th March and its first task will be to provide advice and guidance on recent Jisc developments around the collaboration with OCLC to deliver a National Bibliographic Knowledgebase and of course the transformation of Jisc’s Library Support Services. As of Late January 2017, Jisc has entered into a formal contractual relationship with OCLC to build, deliver and manage the NBK on behalf of the UK Library sector. The contract is initially for 3 years. Working closely with SCONUL, RLUK, the British Library and other stakeholders, the new service will help transform how libraries manage their collections, provide access to resources and collaborate with each other. It will provide a sustainable fit-for-purpose next generation national data infrastructure that practically supports libraries to make the transition from a print-first to a digital-first paradigm. Following an extensive procurement and competitive dialogue process, Jisc selected OCLC as their service provider and partner to build and deliver the NBK. OCLC are uniquely positioned to make library data globally available via their WorldCat service and to connect library data-hubs at scale. They are a known quantity and already provide national and regional bibliographic infrastructure in a number of countries, including in Australia, France, Germany, Switzerland and the Netherlands. Jisc has entered into a multi-year agreement with OCLC to work closely together to develop the solution that UK libraries need. Jisc will ensure that the service is owned and controlled by the community of libraries that contribute data to the aggregation and will share data management responsibility on the OCLC-provided CBS platform (Central Bibliographic System). Although many issues arose throughout the open discussions, there was wide agreement from the group across those issues. For example, when the group was asked how they might implement a data registry, 3 separate groups reported a very similar process that any service would have to follow. The group are also aware to be mindful of initiatives happening both within Jisc, as well as external data sources, for example, Ringgold & ISNI. However, one of the primary purposes of the transformation is to cohere our services and the control of our service data is the power behind some of our services, especially a trusted service like KB+. There is inherent risk in relying on sources outside of Jisc that would have to be borne in mind. This and other issues will be what the internal group will be tasked with resolving, through monthly meetings. The new Advisory Group will also advise; providing sector input and a sounding board for new approaches. Finally, some initial, internal work has begun which explores in detail the functions of all our Library Support Services. This will provide a comprehensive services overview, with a detailed understanding of each and enabling analysis of areas of duplication, for example.